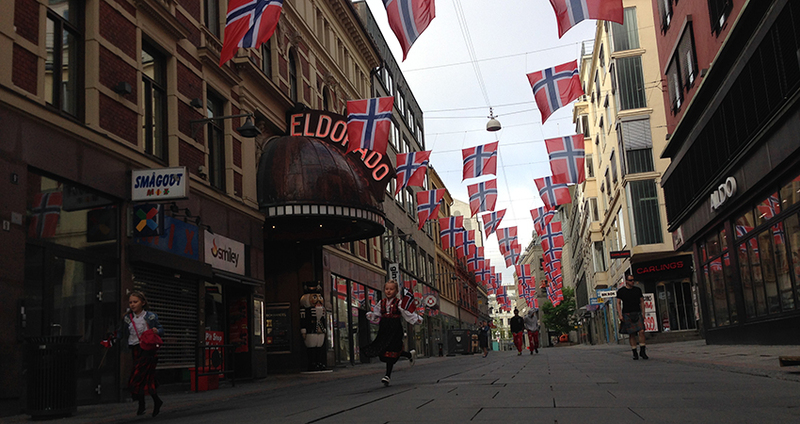 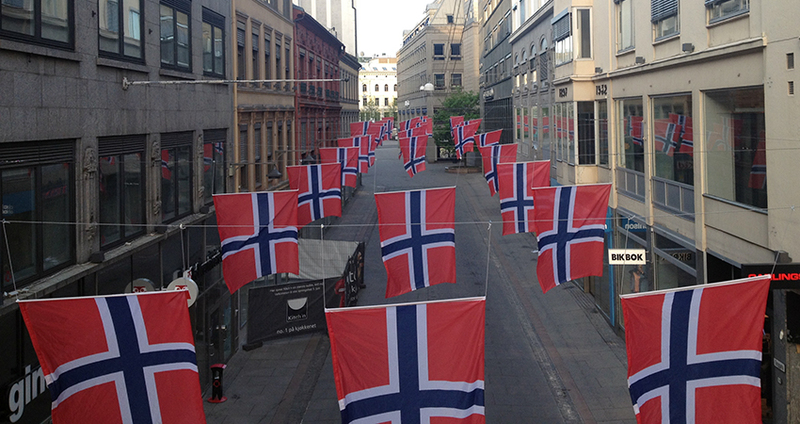 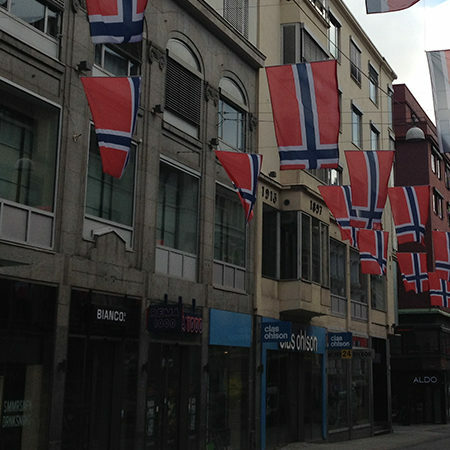 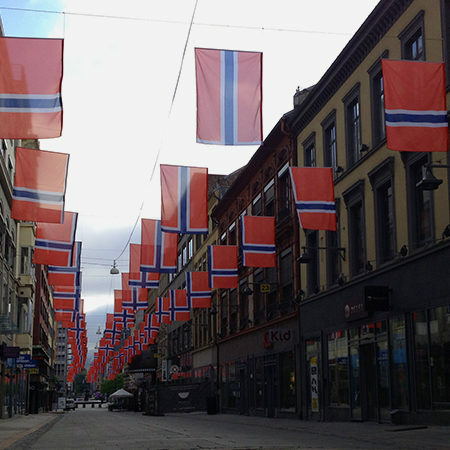 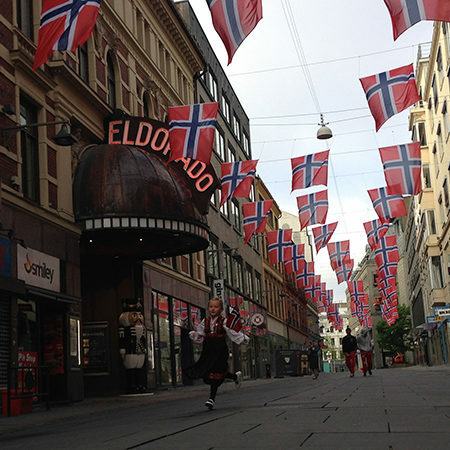 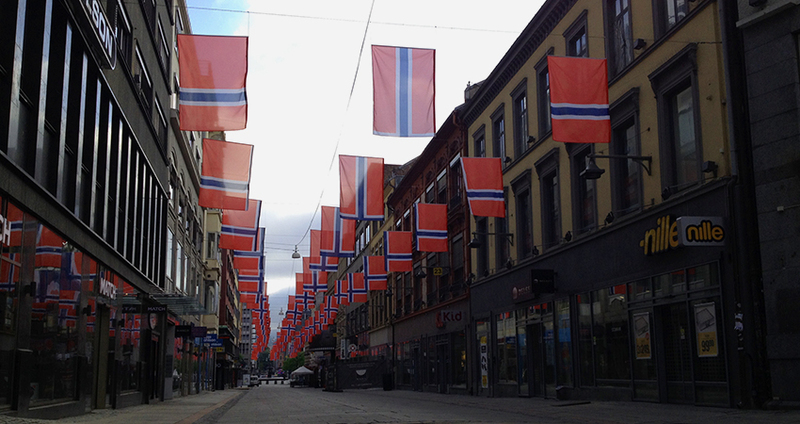 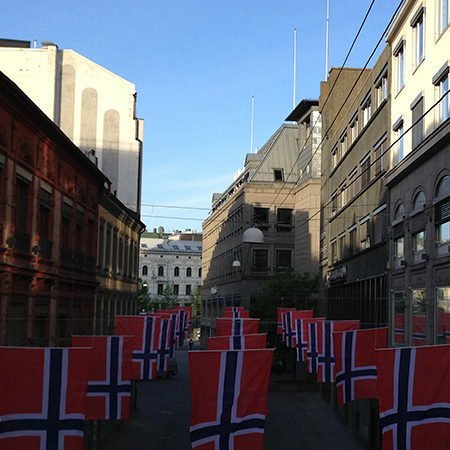 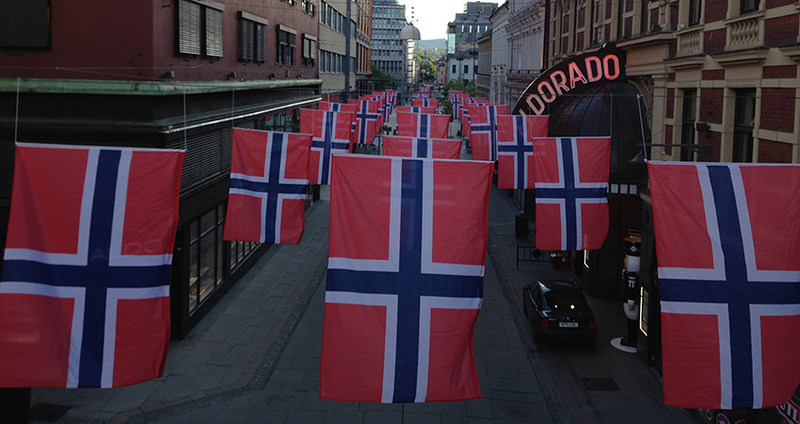 The project “Utforsking av Norges flagg” includes an urban intervention consisting in an installation of 74 banners over specific streets -and moments- in Norway. 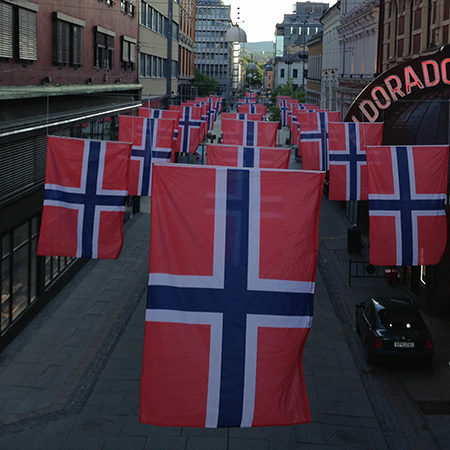 At first glance, the installation could be seen as a patriotic decoration, but at closer inspection, it invited it to reflect on different concepts, such as identity, independence, pluralism and democracy. 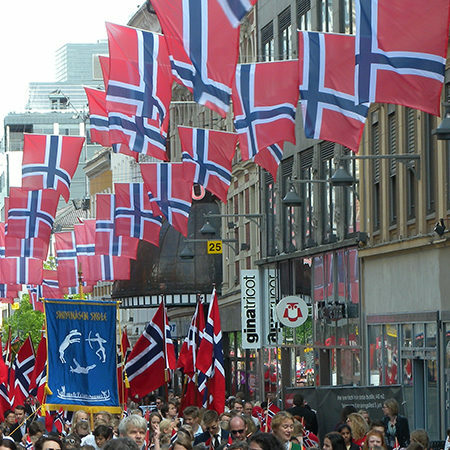 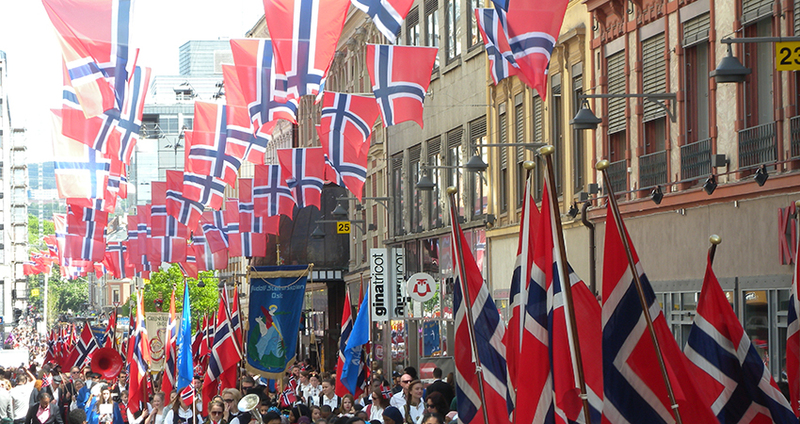 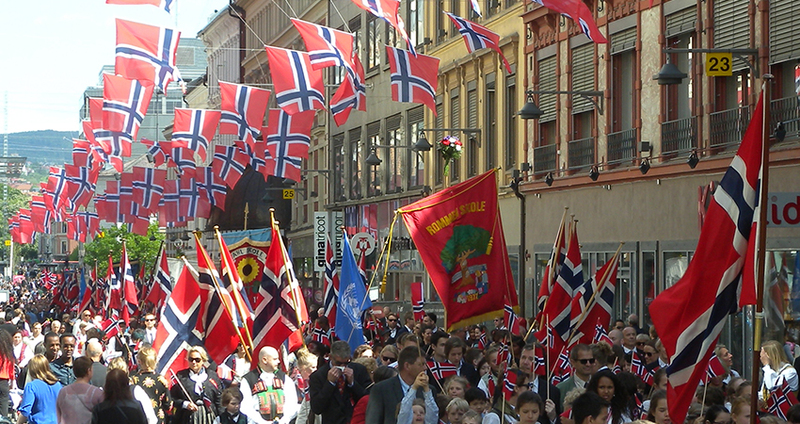 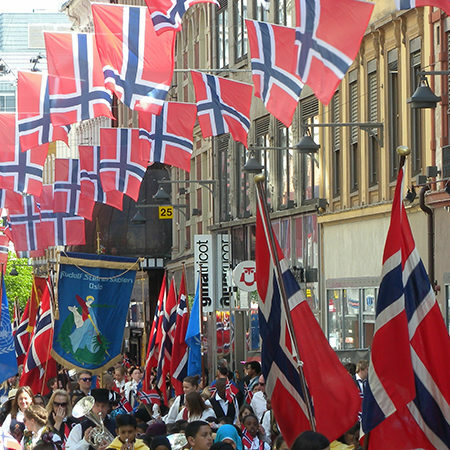 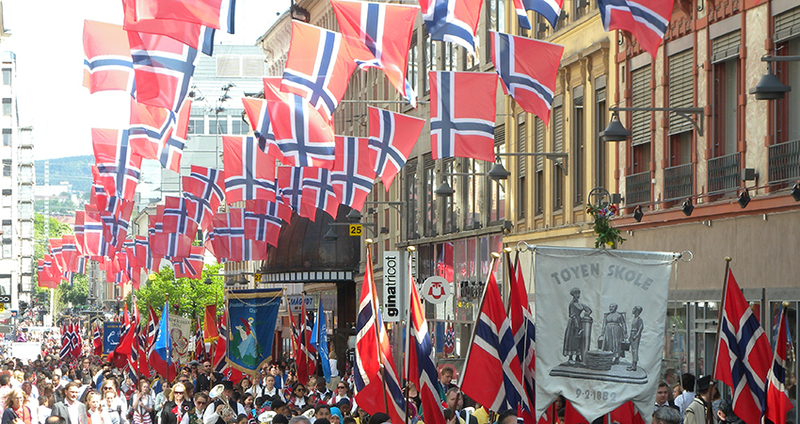 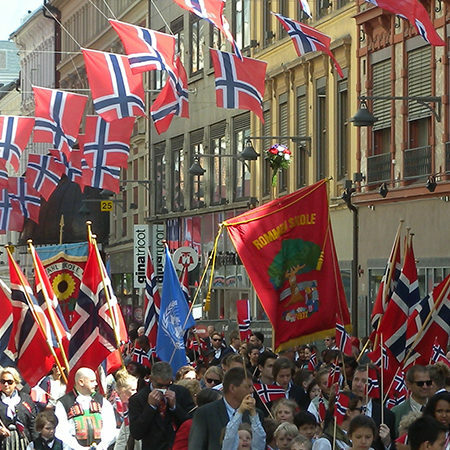 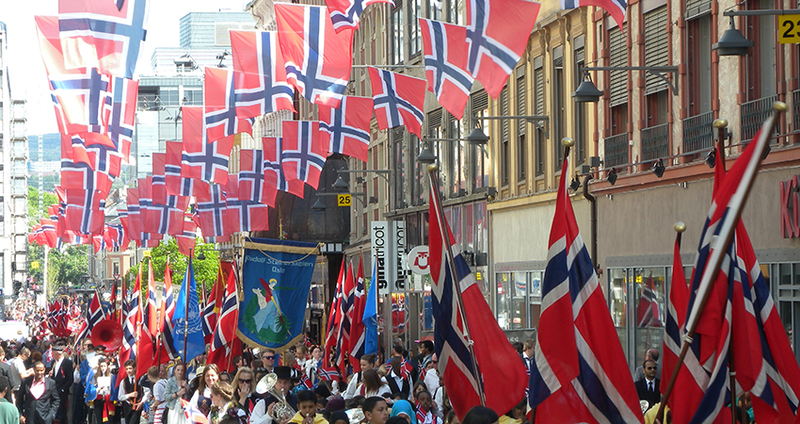 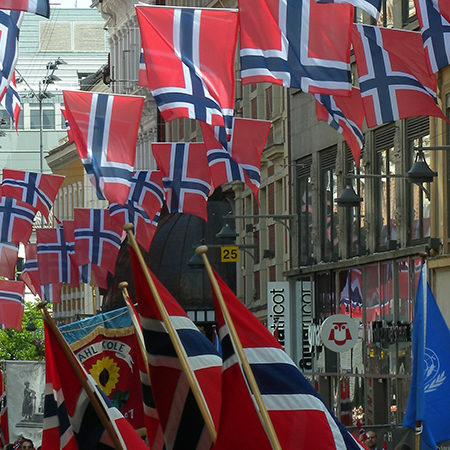 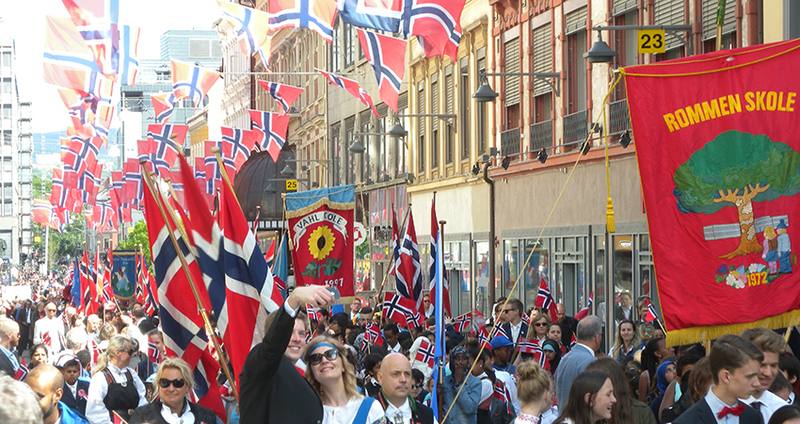 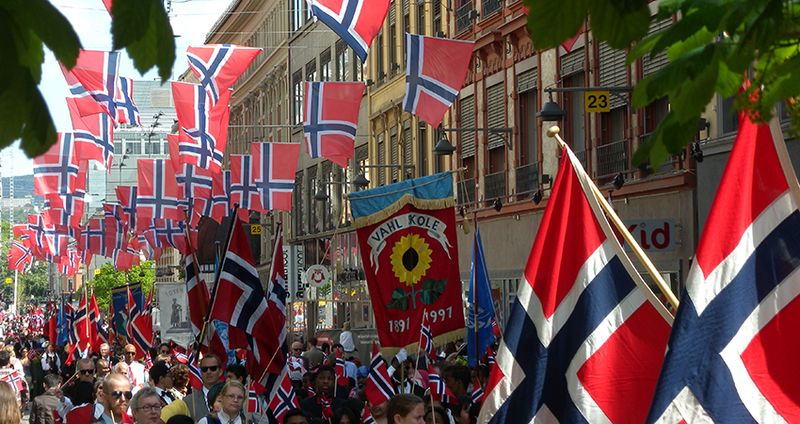 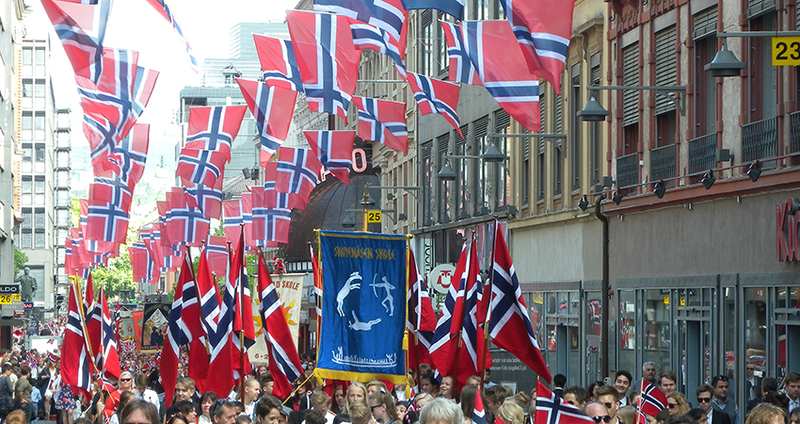 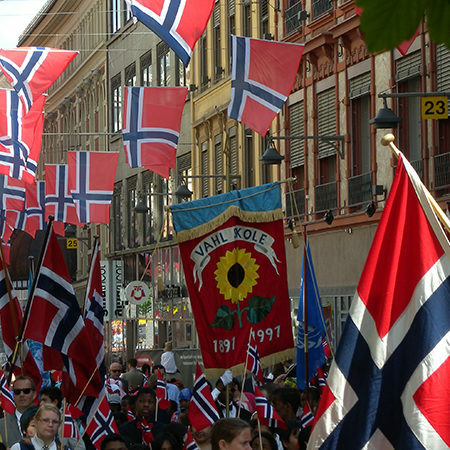 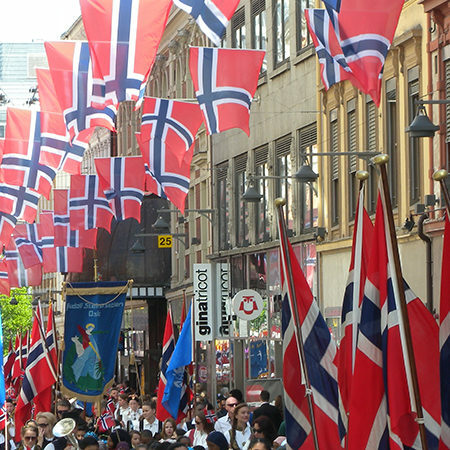 Even if sharing the same frame proportions, none of the red, white and blue banners is technical the current Norwegian flag. 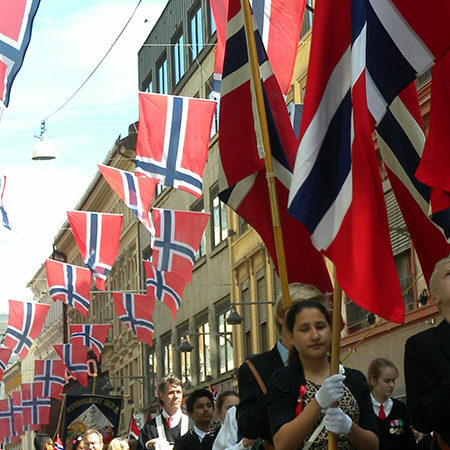 The Norwegian law define proportions of the content of the flag, but does not define the colours with a standardized colour system. 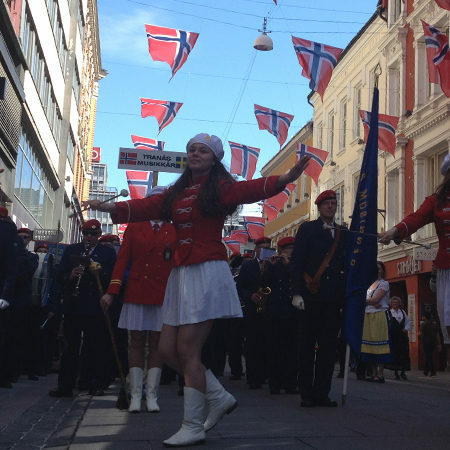 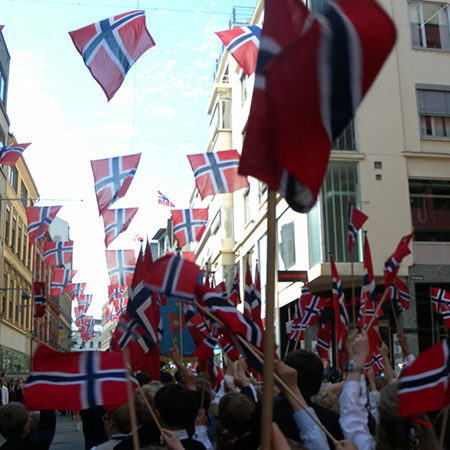 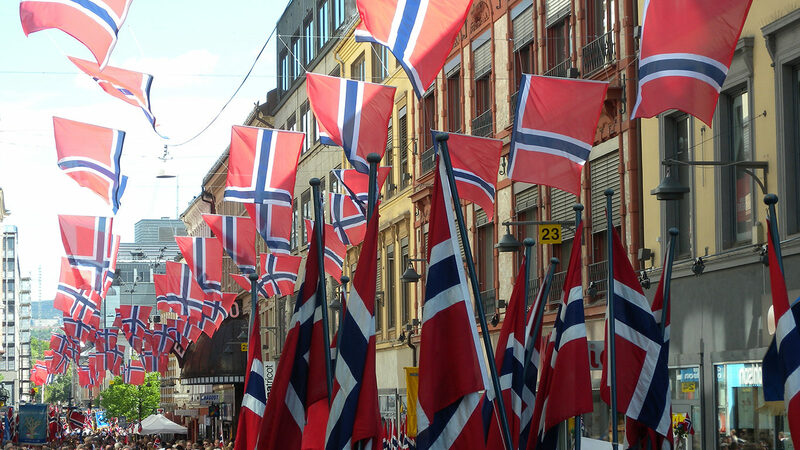 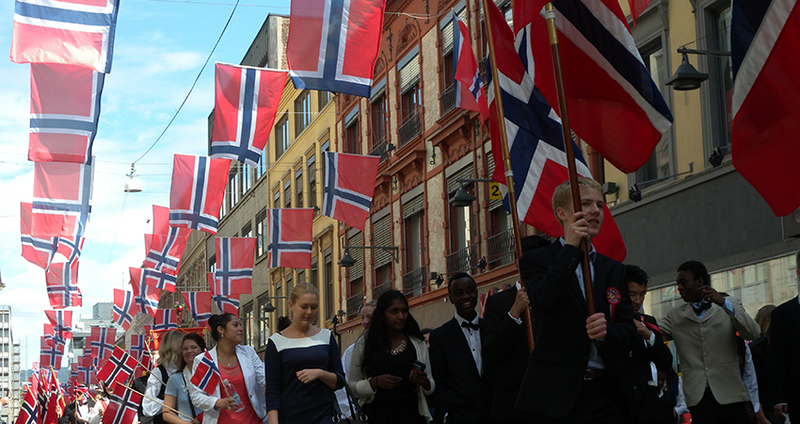 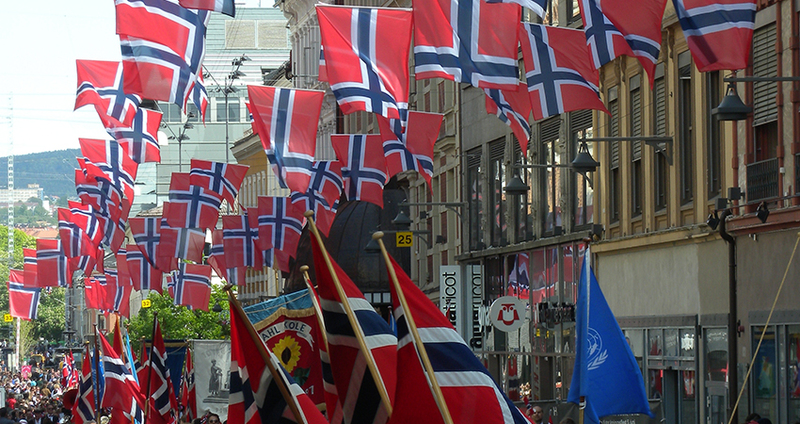 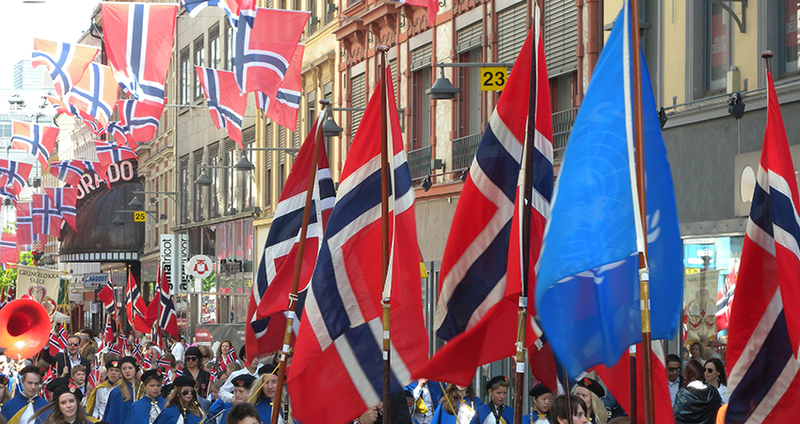 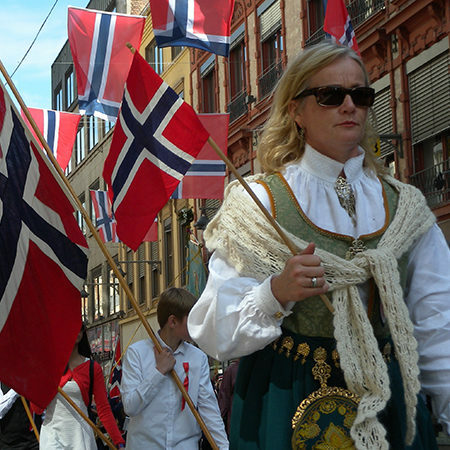 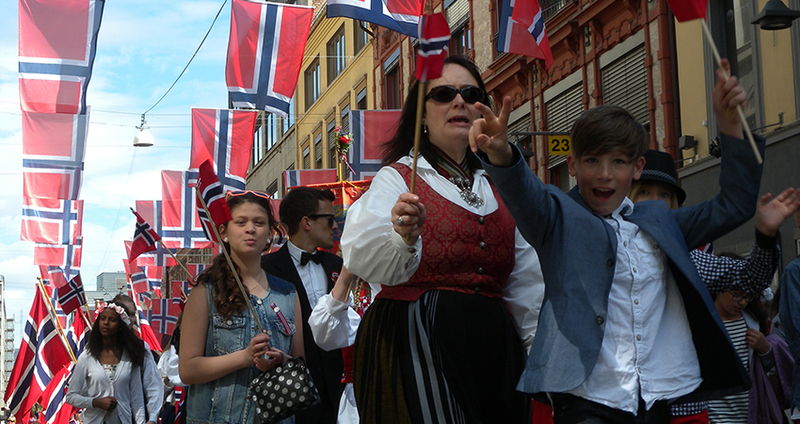 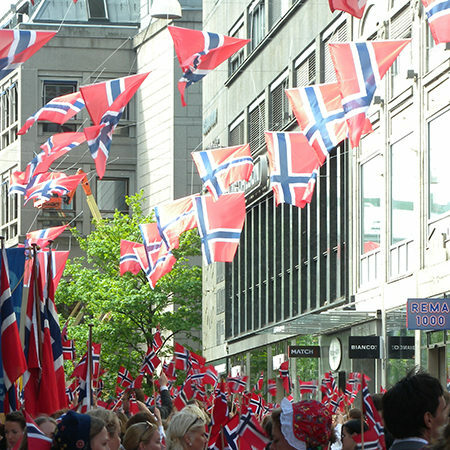 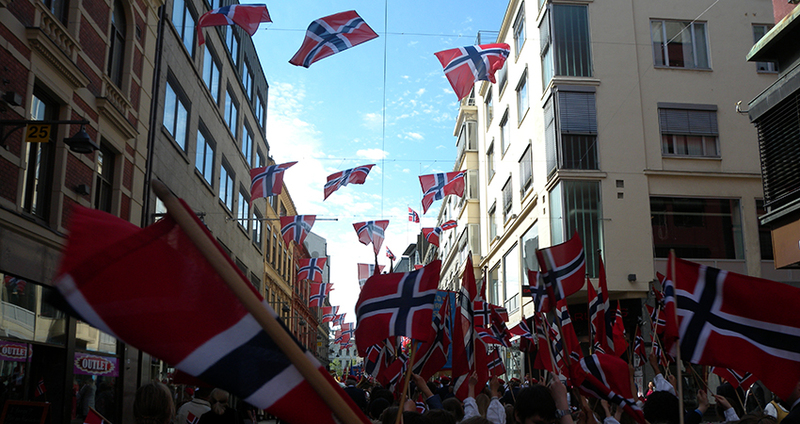 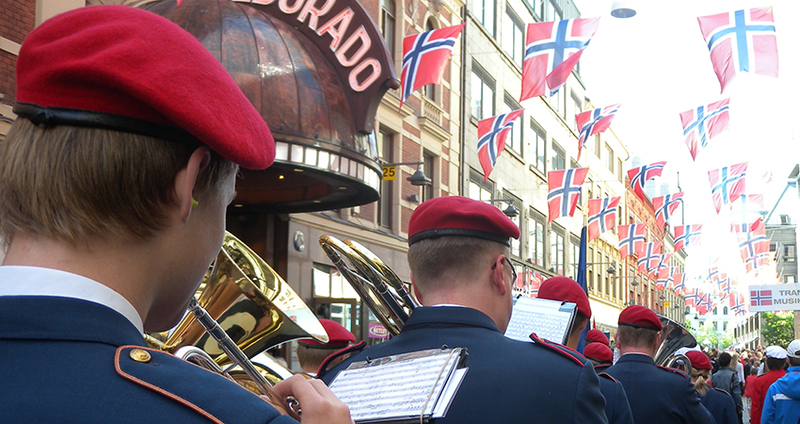 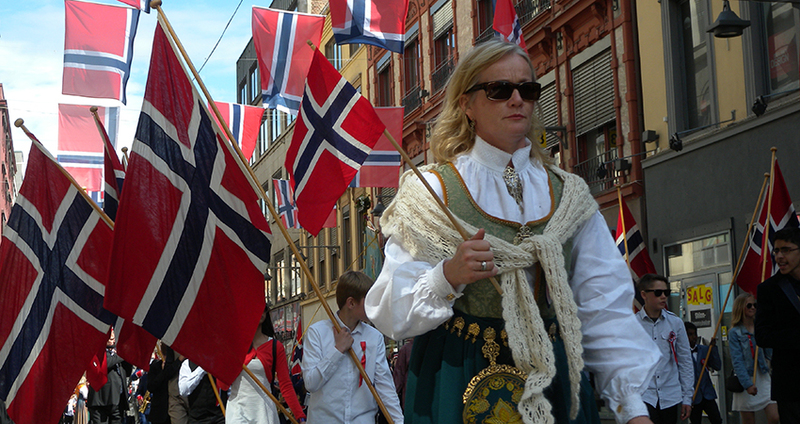 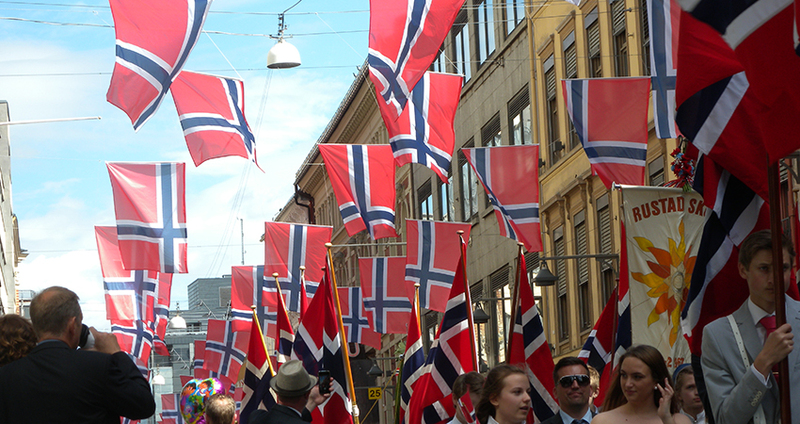 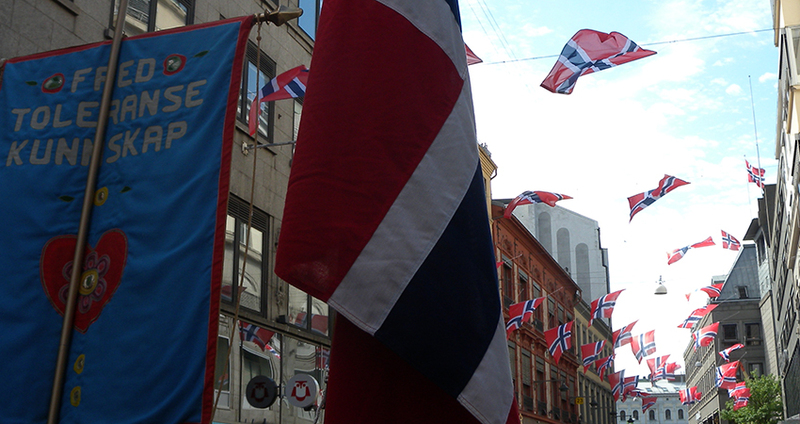 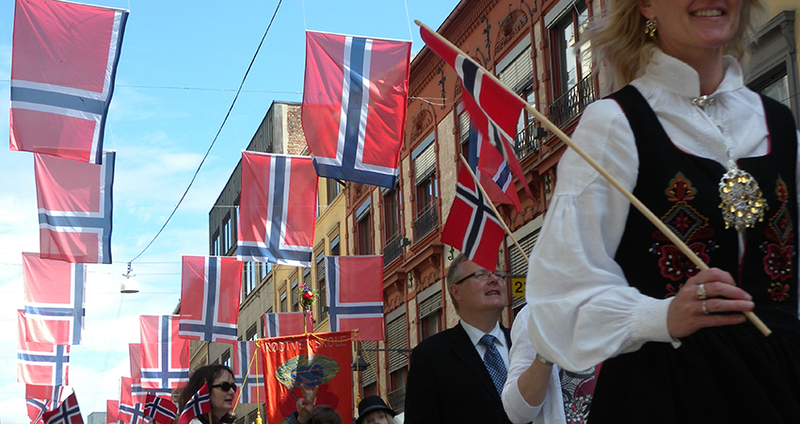 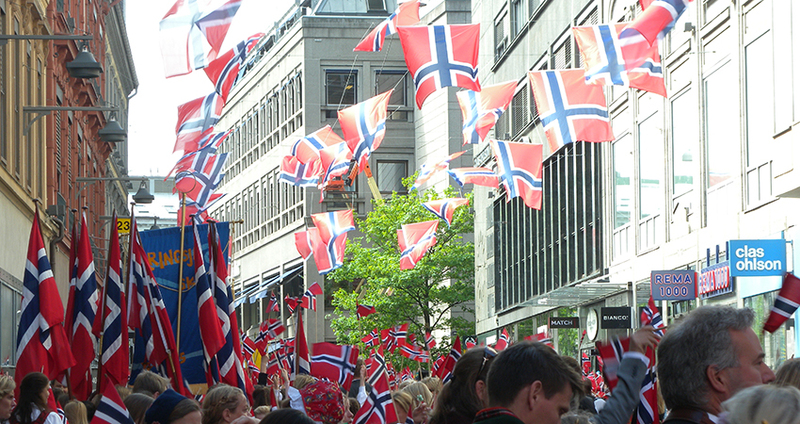 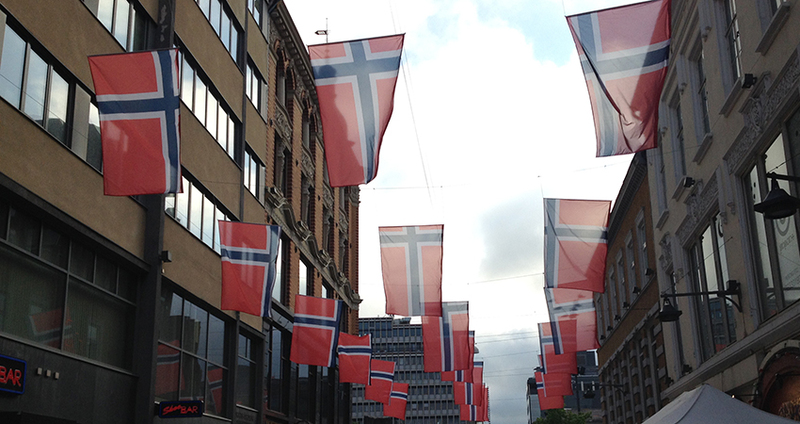 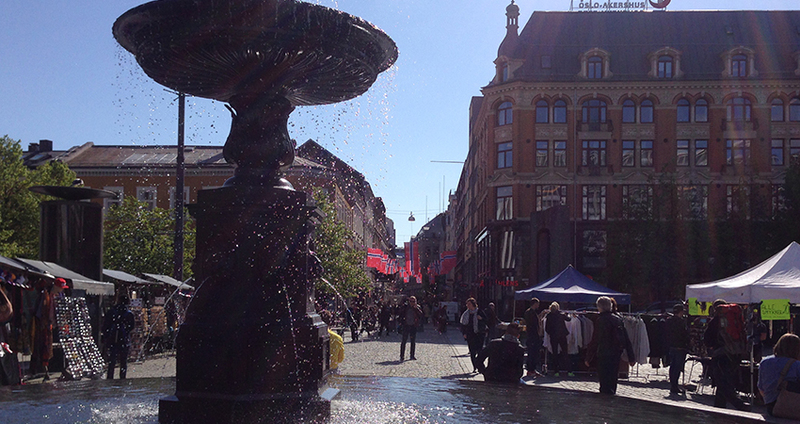 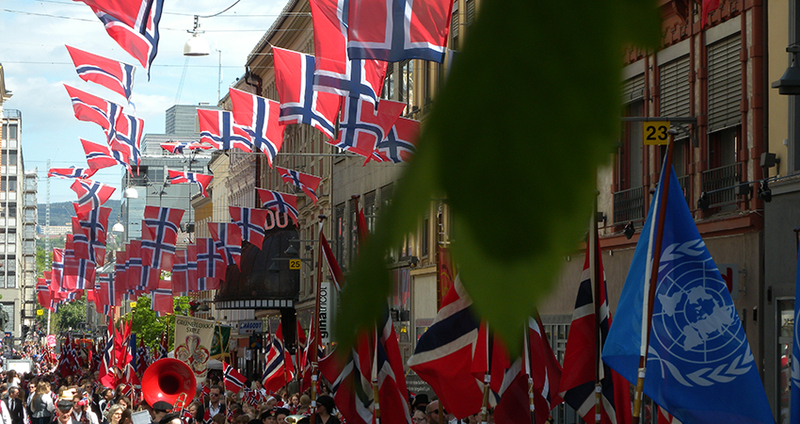 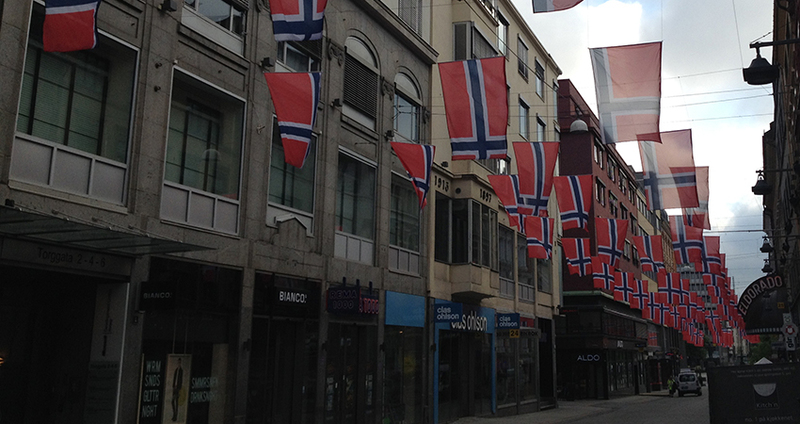 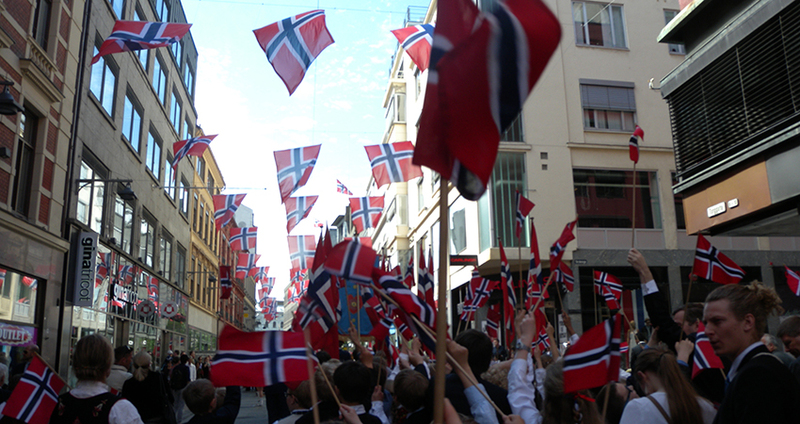 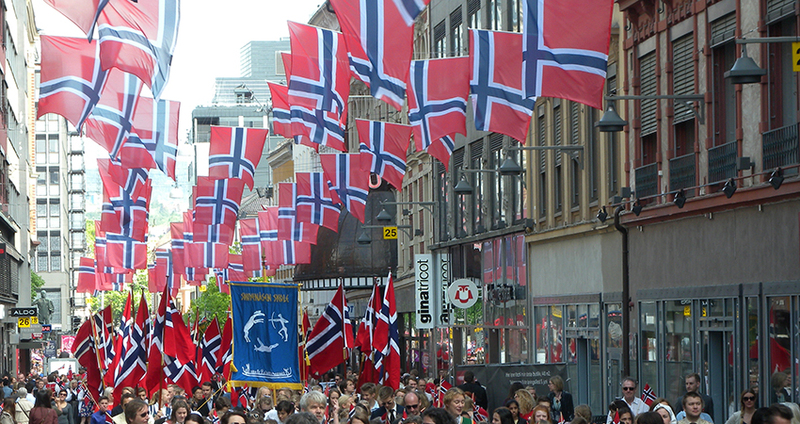 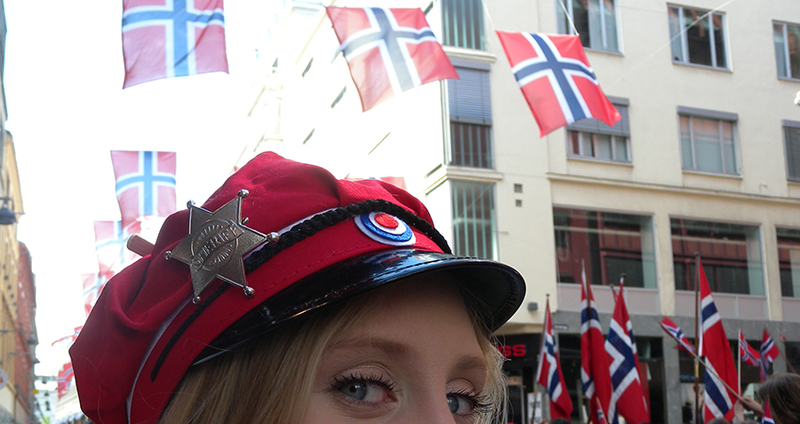 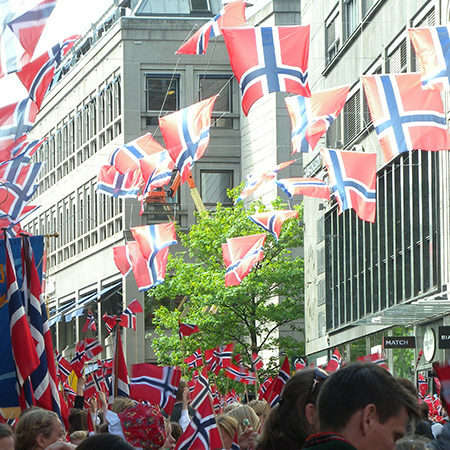 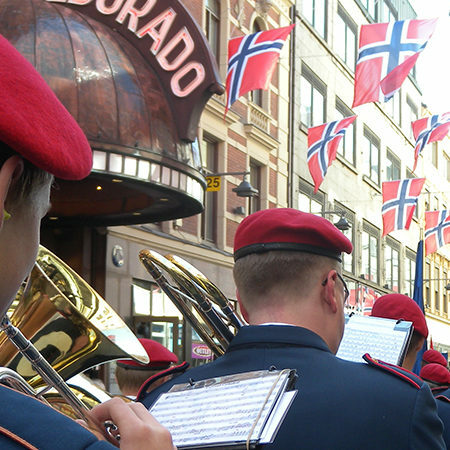 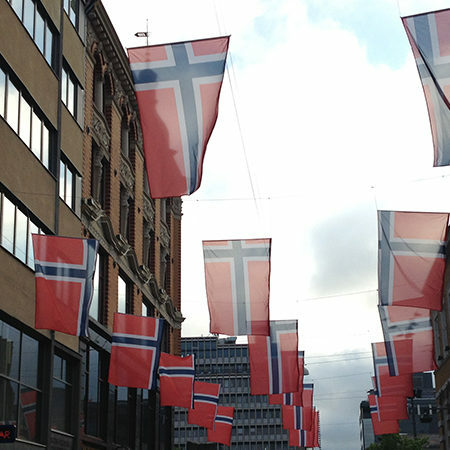 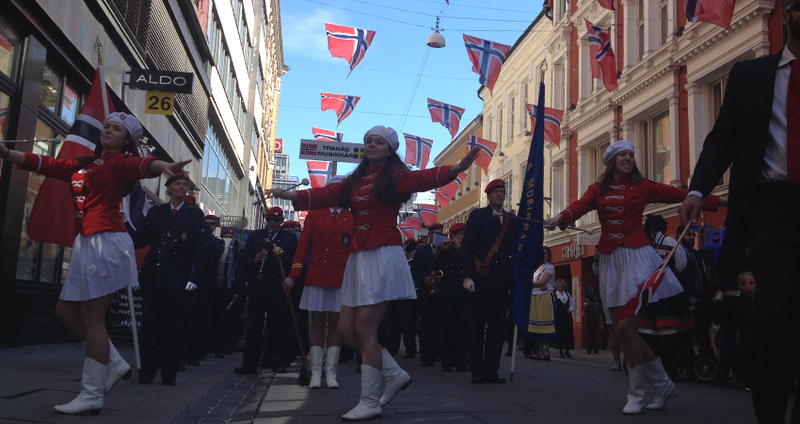 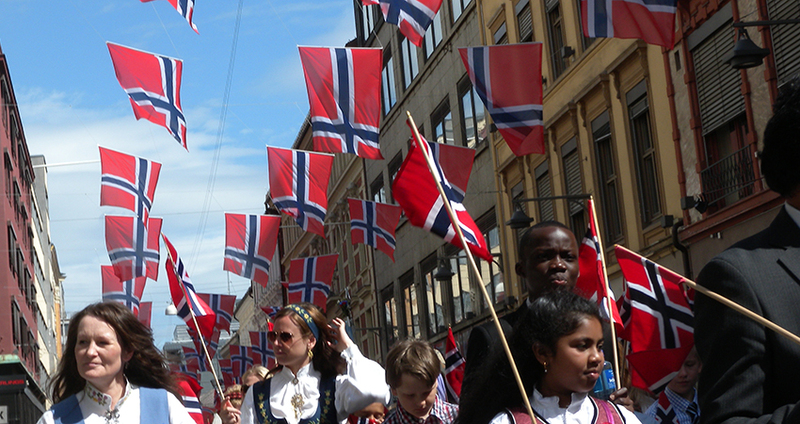 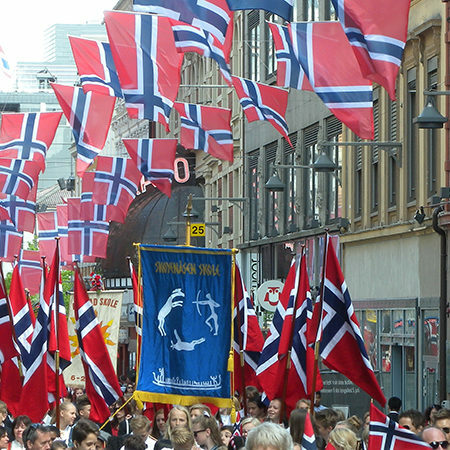 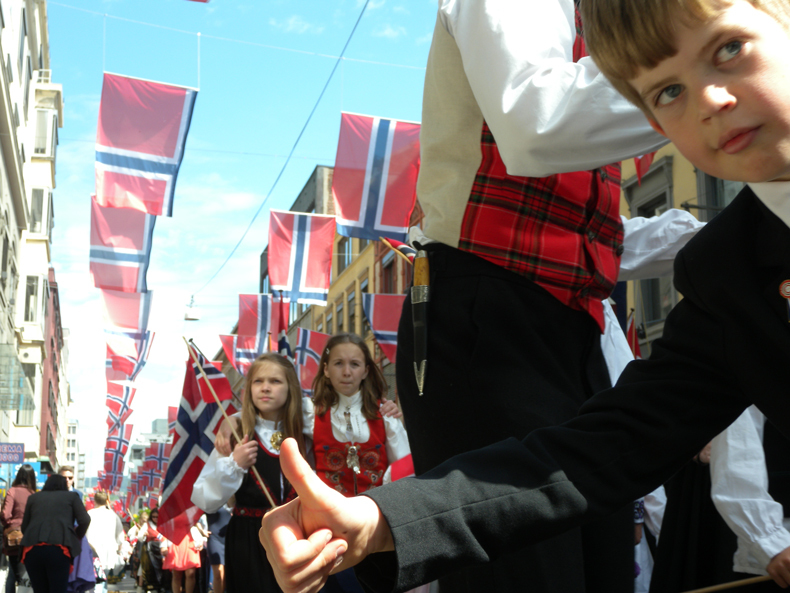 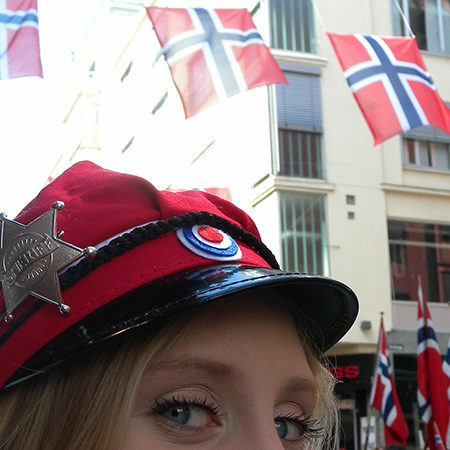 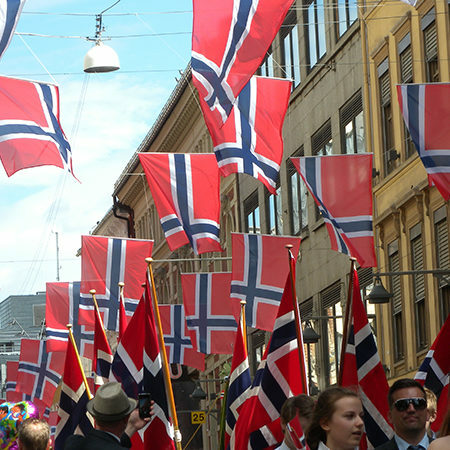 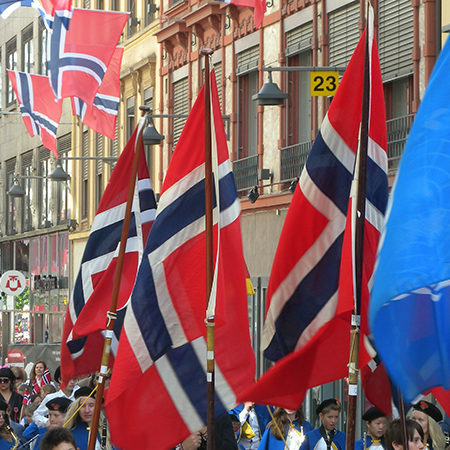 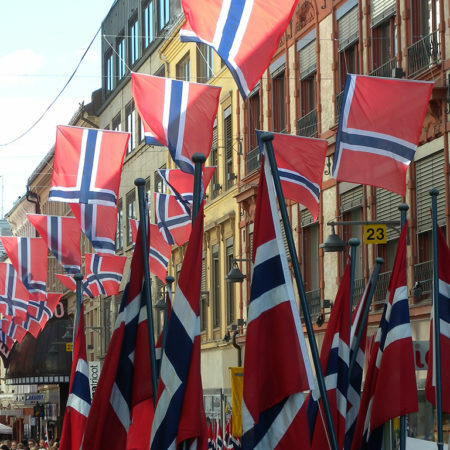 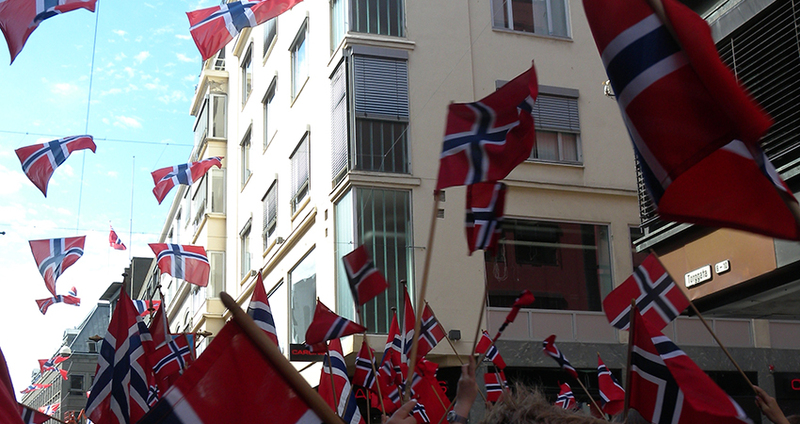 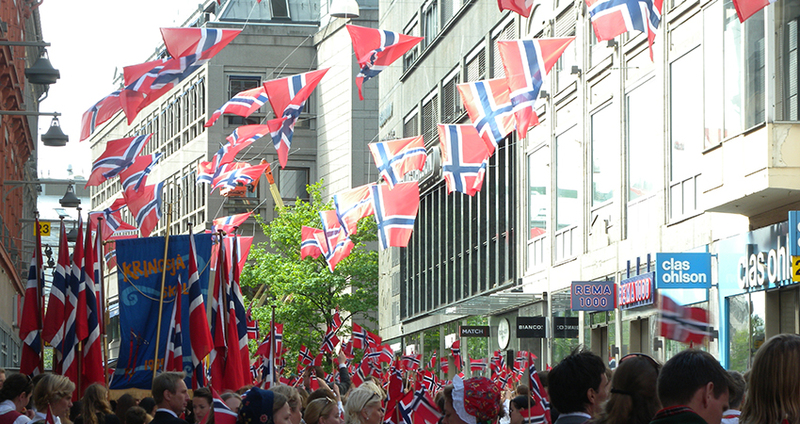 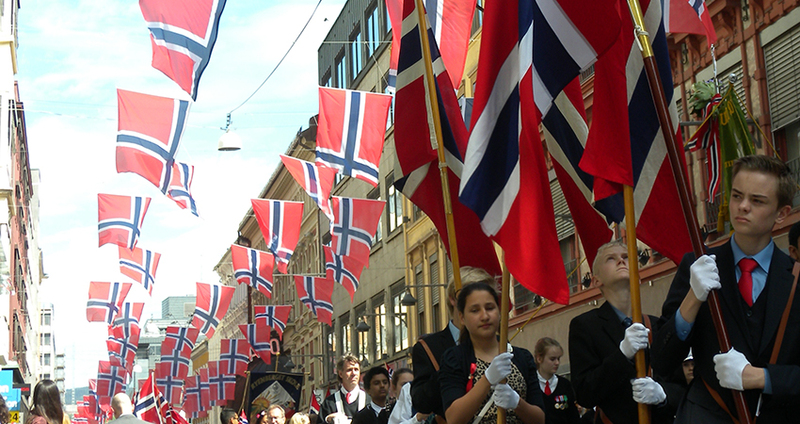 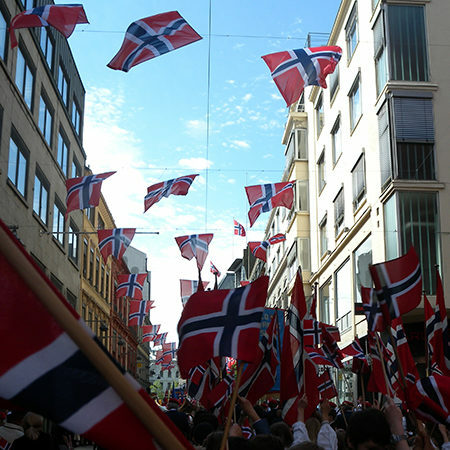 Therefore all the Norwegian flags in use can have tone differences from one to another. 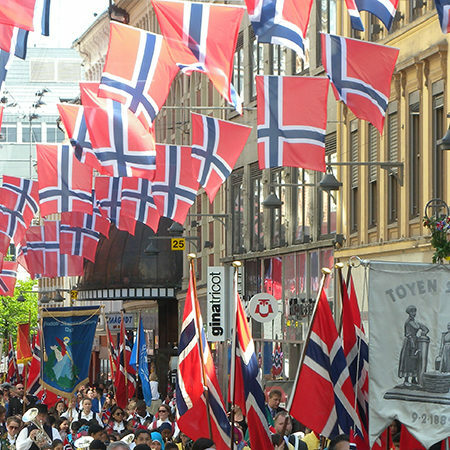 In other hand, the law does not define the origin of the flags, and nowadays is almost impossible to buy one made in Norway. 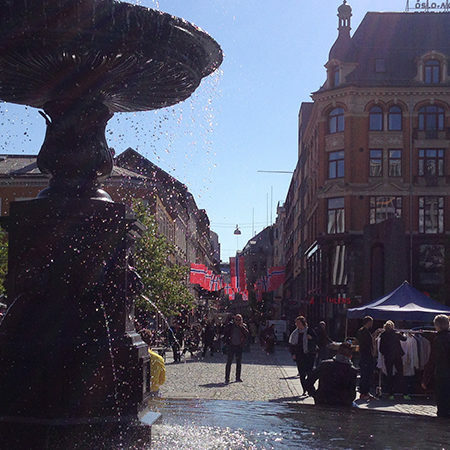 There is no trace of complains about any of this topics. 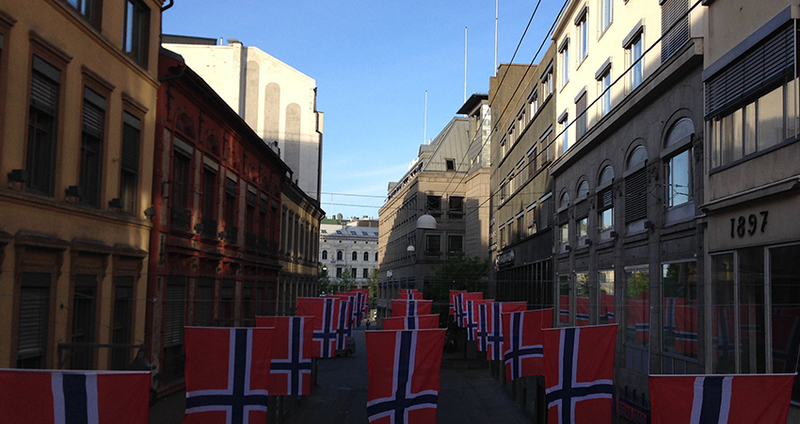 By dozens of threats received, this artistic installation confirmed the rigidity of citizens, ultra nationalists or not, and reactionary behaviours towards whatever that present publicly a movement in a national symbols, being slight or dramatic. 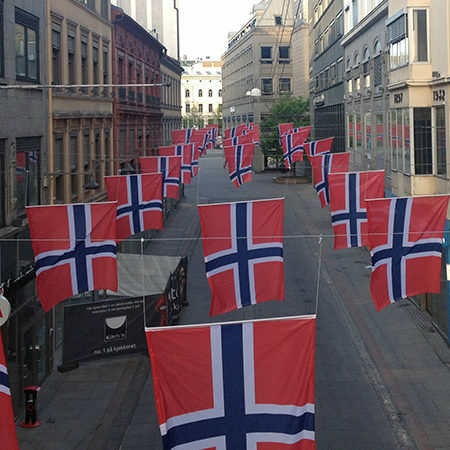 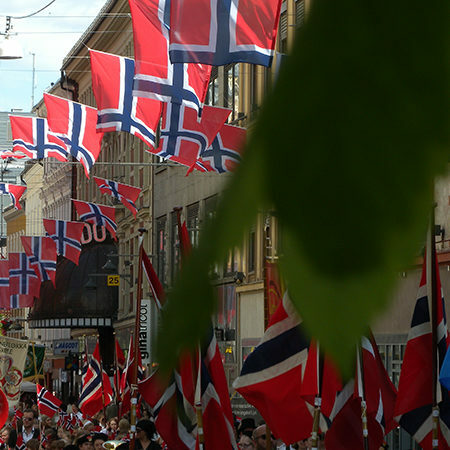 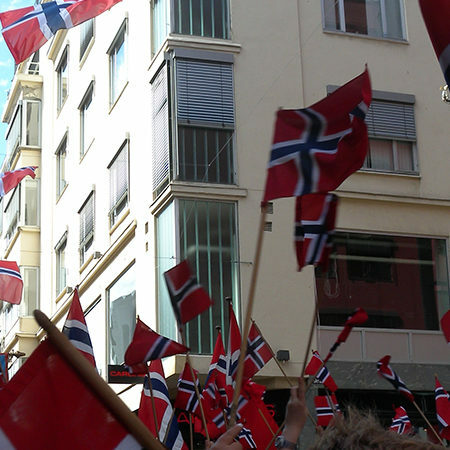 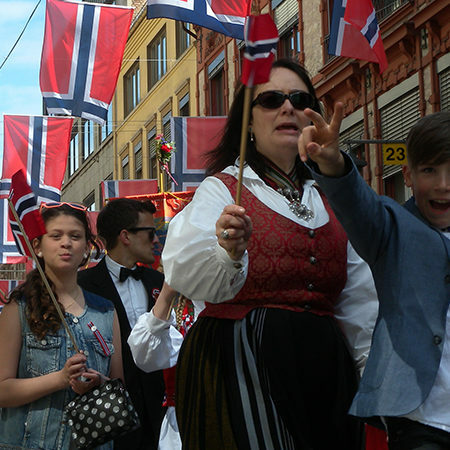 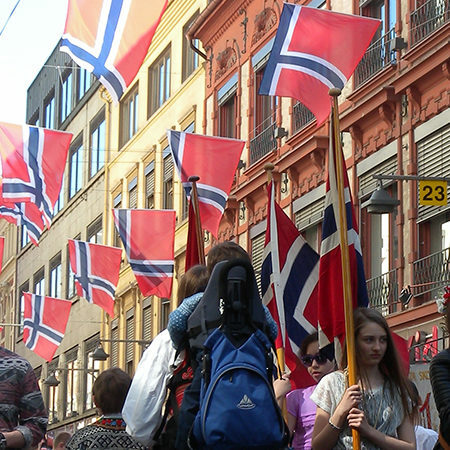 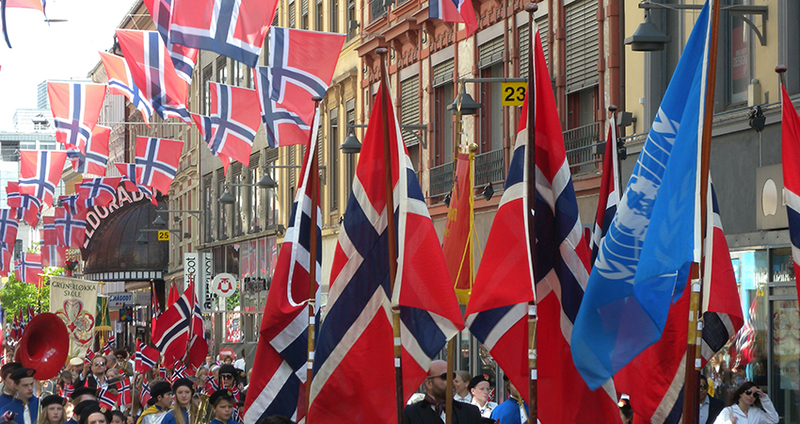 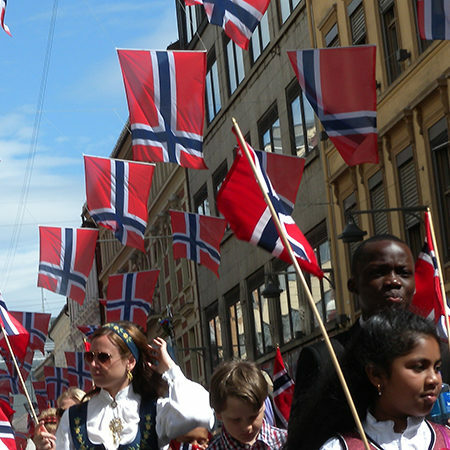 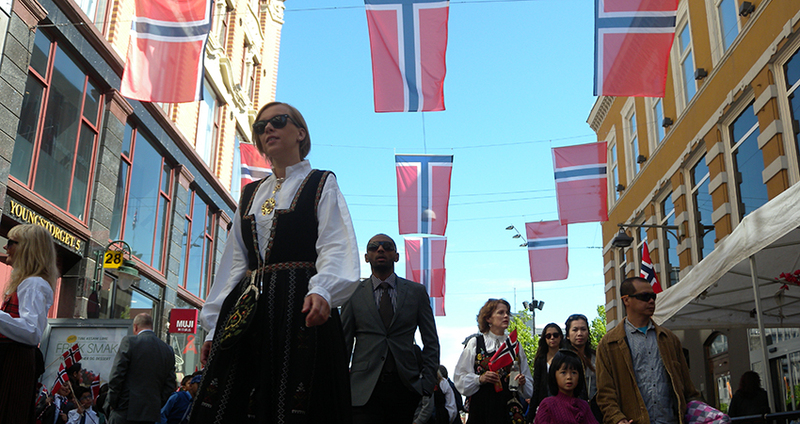 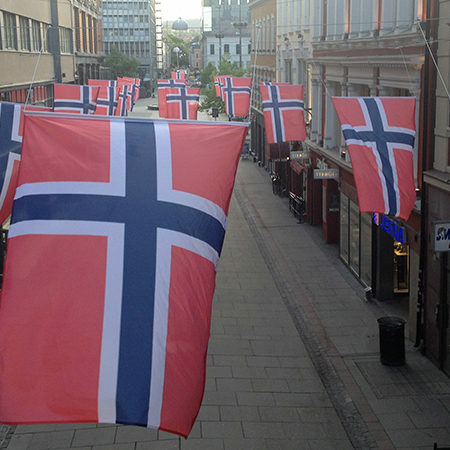 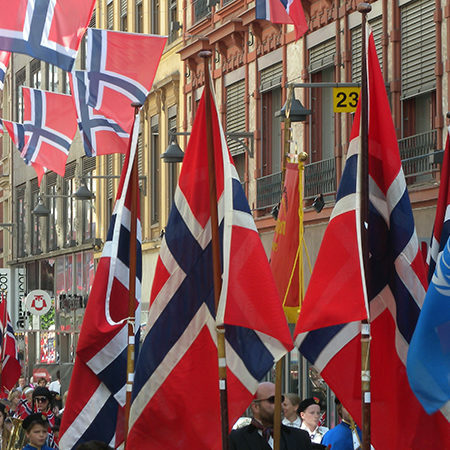 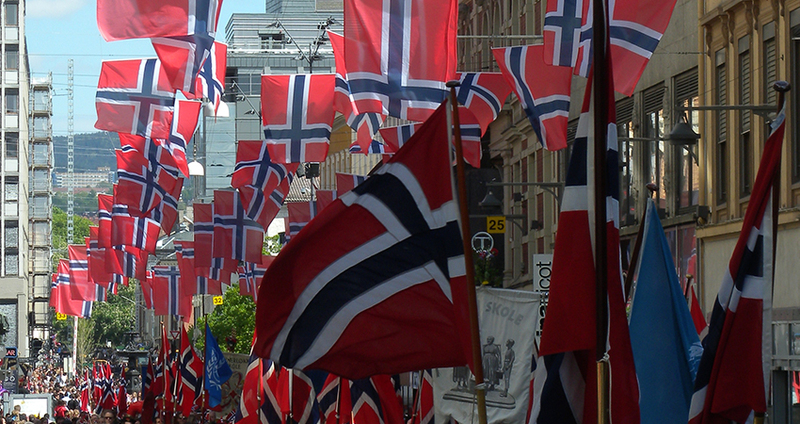 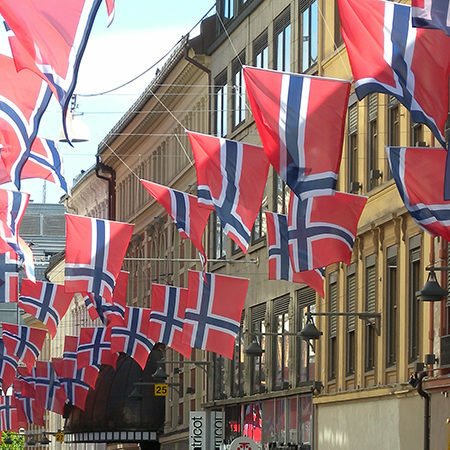 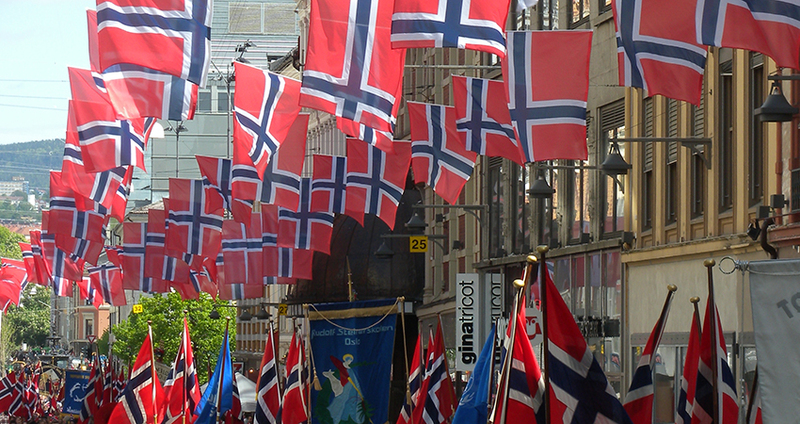 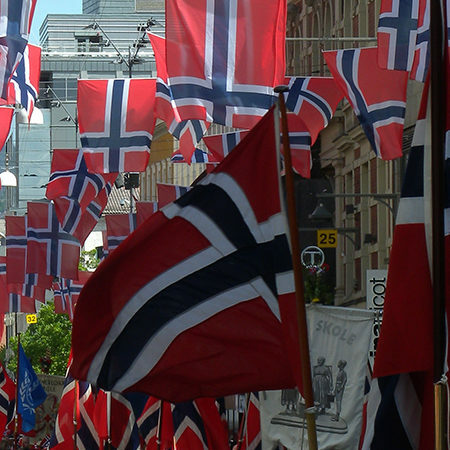 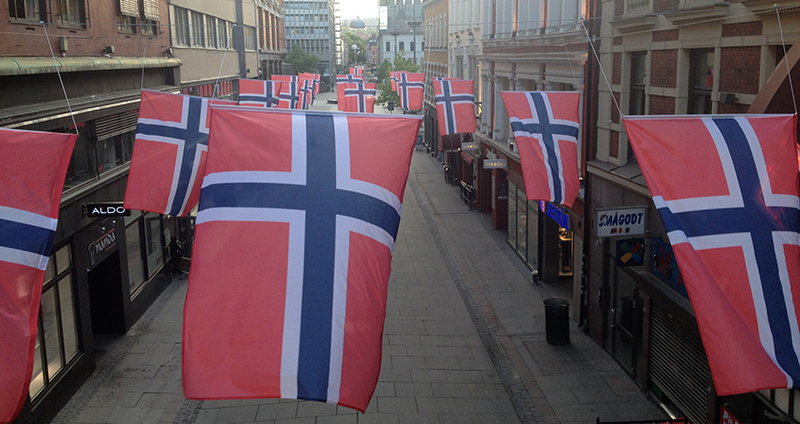 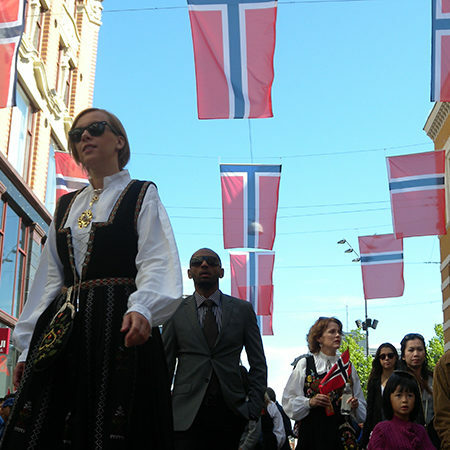 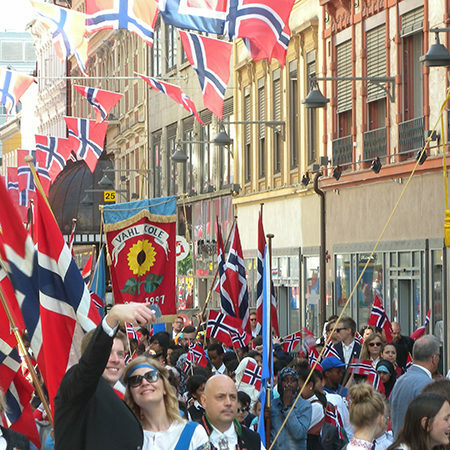 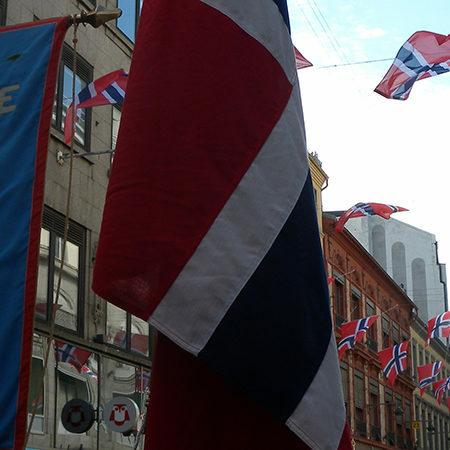 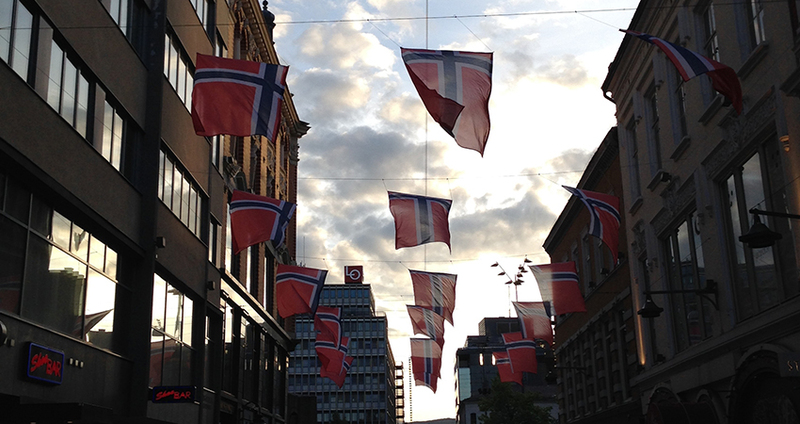 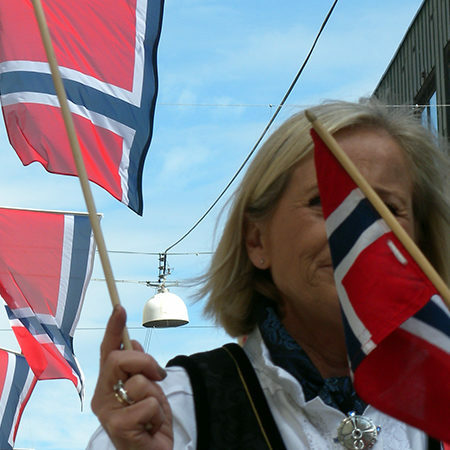 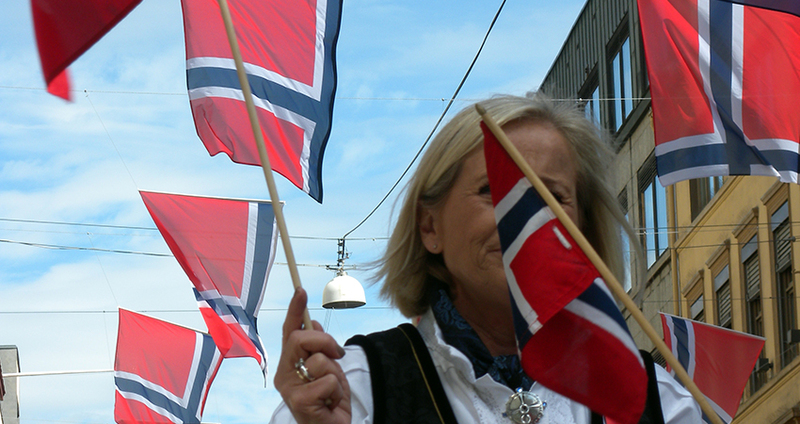 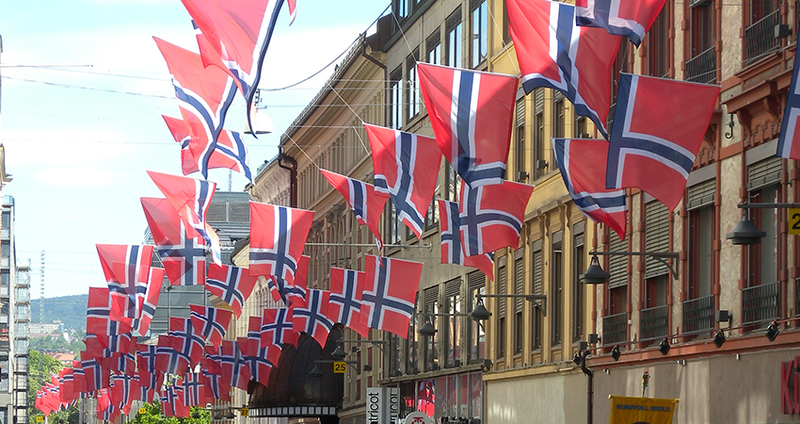 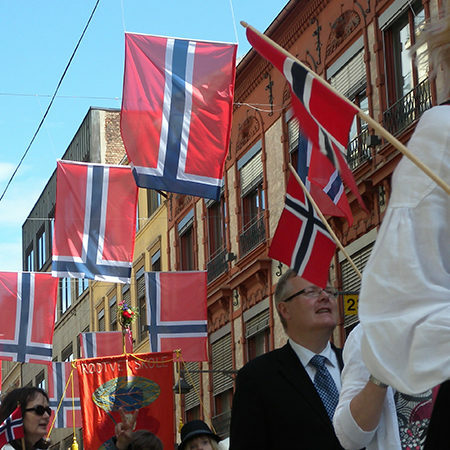 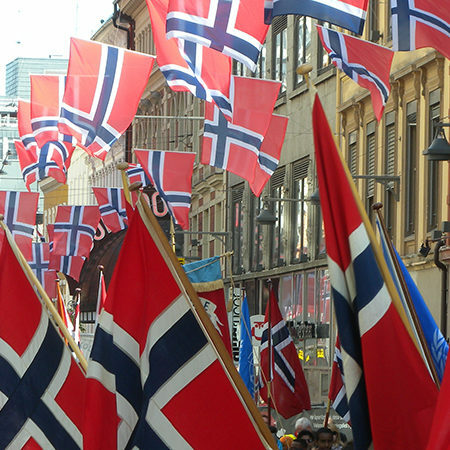 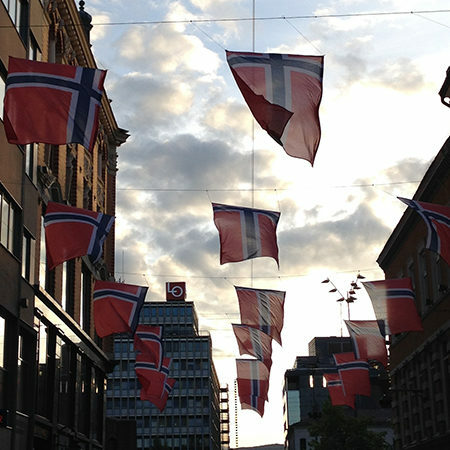 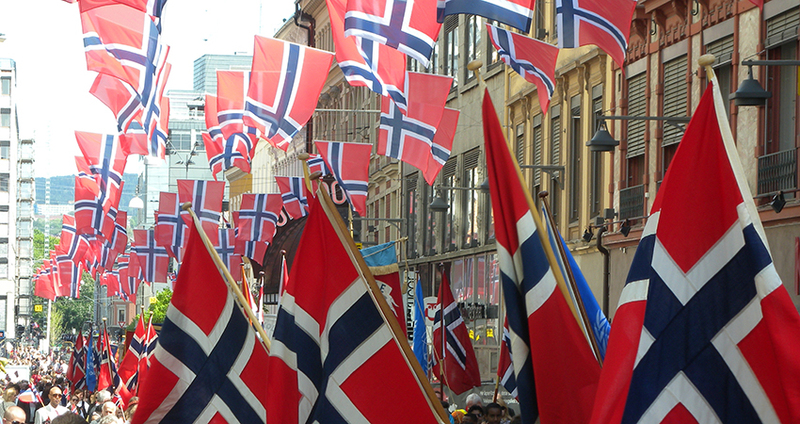 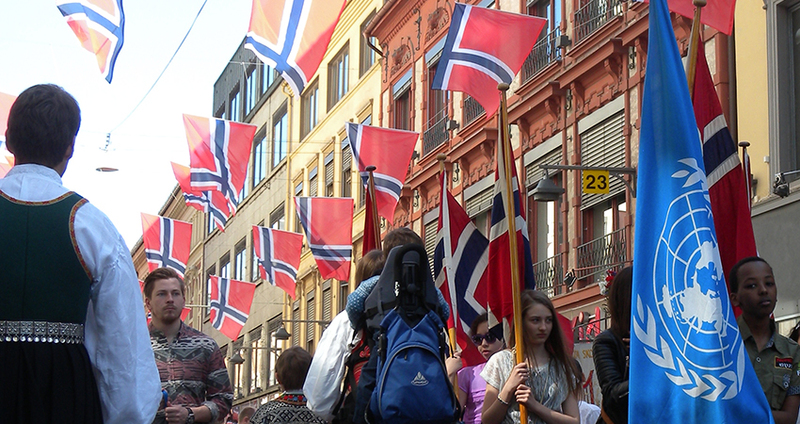 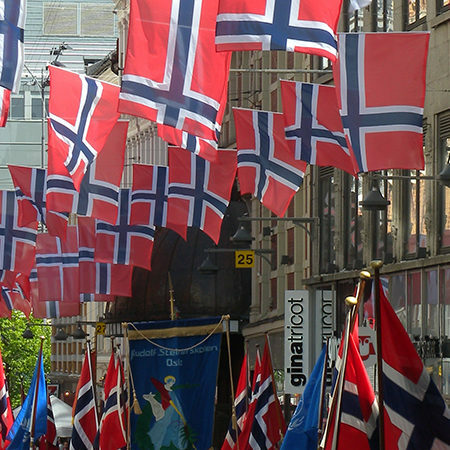 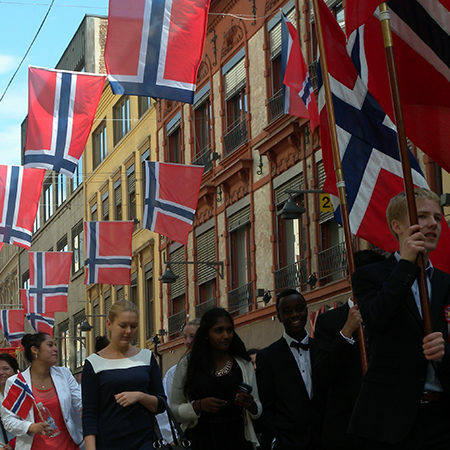 This is not a proposal for a new flag for Norway, nor a complaint, but a proactive platform for opening dialogues in which national symbols’ appropriation, rather than a taboo, is considered a democratic duty and a tool for freedom of speech.